Jamal "Mali Music" Pollard is sitting backstage at a small club in Birmingham awaiting his appearance at GL Live. He is clearly excited to be playing in the UK and kudos to the organisers of the tour for identifying this emerging talent and bringing him to these shores. The word of mouth on 'The 2econd Coming' album seems to be enough to bring out a sizeable crowd to check him out. He's respected as a singer, songwriter and studio producer and player, so it's interesting to discover that Mali Music has a passion for the live stage as well. "I'm working on my new album," he confesses. "We're doing a live recording of a concert with some post production. That's going to be really good." He acknowledges that live is a very different thing altogether from his studio work when he says, "There's a different energy that you have to capture in the studio, that you can recreate and give the true essence of what it is on stage. As far as instruments go, you've got the fake ones, like software and electronic, and real, like the guitar and bass. It's a totally different feel." So what does he do in live performances in terms of ministry? "I can open up a lot more," he reflects, "I'm grateful for that. I get to really open up and let God spill out." The artist's musical journey began at five by which time he was playing piano. Born in Phoenix, Arizona on 12th January 1988, From the age of 11 he was serving and ministering at his church, Faith On The Move Ministries in Savannah. 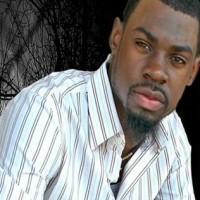 As he grew Jamal/Mali Music's experience increased. He scored the soundtrack for the Savannah College of Art And Design film Linked and provided the music for two gospel stage plays, Urban Resurrection (2005) and Zion's March (2006). Mali Music began uploading some of his original music onto MySpace. His idiosyncratic and highly creative take on urban gospel began to draw an audience. 50 listens turned into 200, then 4,000 and before long there were fans all over clamouring for an album. "I never made music to sell," Pollard explains. "I always wanted to have good music out and share what I had. I'm all about ministry and I just want to be able to reach out. I'm not looking for [applause]." He told his parents he wanted to produce a CD. Using DiscMakers Mali Music had 1,000 copies pressed of 'The 2econd Coming' and booked a concert in his Savannah hometown. The buzz continued to grow and judging from the excited response which greets his GL Live appearance he's now beginning to pull in an international audience. The multi-faceted recording artist speaks about his lifetime obsession with music making. "There are times now when, if I don't have my guitar or Logic Studio on my laptop, I can get real grouchy, like I don't want to talk to anybody. I've got so many ideas that God gives me to deposit every day." That sounds as though music has taken over his life. Is there a danger that the creation of music can become idolatrous? I ask. "I do believe so, if you do it to make the next 'hit'," he responds frankly. "If your intentions are to get a hit song, then that's when the music comes first, so it's like now you're doing God a favour by doing your music? When it comes to the point where God is blessing you with deposits of songs, chords and progressions, that's when it's completely different. When someone plays the progression, that is the move of God that everyone is hearing. Everyone wonders how you get that response. Because God knows the hearts of men. I can only guess it." Isn't there a danger that his relationship with God becomes a Broadway musical, where people walk around and then all of a sudden they burst into song? Mali Music responds, "He knows that I'm going to be open to it. Anybody who is with me a lot knows that it could hit me anywhere. There's a song I did called 'Vein Of Gratefulness'. I recorded it into my laptop microphone at the airport terminal. You hear all this mumbling in the background, but I needed to get the concept and I got it right there. It can hit me anytime. I wake up looking forward to it. A lot of times I get up early, if I haven't been up late getting what he gave me the night before." With this kind of approach to life, perhaps it's understandable that the young Mali Music has never held down a nine to five job. He did make an effort as he remembers, "My dad was like, 'Boy, you're gonna work'. The first and last job that I had was working for the City of Pooler, Georgia. Hard labour! I worked for the water department - reading meters, changing tanks and putting fluoride in water. I was destroyed by that." I have this idea that Mali Music's life is sitting in the studio all day, listening to God, recording music all day and then going to bed. He explains, "Life is a studio. Wherever you go, that's the inspiration you'll get. When I first went to California, I spent most of the time outside with my guitar. I came back with almost 15 songs in about a week-and-a-half. That's why I'm doing a guitar chronicles album, because I didn't know what to do with those songs. They're really blessing me. I'm moving to another area, where every area is prophetic. I don't recognise why I'm getting a deposit until months, maybe even years, down the line. I have this archive of songs that are needed for 'that moment' and I can pull from it. Especially when I'm touring and I need a breakthrough. I'm like, 'Hold on, maybe I did something like this'. I click a song and it's exactly what I need." Is Mali Music's creativity governed by how close he is to God? Has he had patches of his life where he's not been walking as closely to God and seen the creativity dry up? He shares, "There's a realm that he allows you to operate in. The place that he takes you to is a gift. If he gives you a house, when you start walking closely to him, you won't lose the house. You still have the house but any further progress is taken away. If I move away from him, I'll only be able to create the inspiration of the place where I am. Sometimes the songs get real dark, heavy or sad. The same anointing power is on it, but it's just not uplifting. That's a very risky place. I keep those songs tucked off at the back. I'm so passionate about the next move that I don't want to be in a place where I'll miss it. So I stay where I need to be." As a journalist it's been interesting that when I've talked to great musicians, quite often they're aware that their music comes from outside of themselves, but if they're not Christians, they can't define what that is. Does Mali Music think that it's interesting that this is out there for musicians? "It's really weird," he reflects. "If I could explain it, it's like a concept is given. Whether it's through my eyes, ears, smelling or even tasting something, the inspiration is given and the concept is built. I was walking down the street and I almost stepped on something that was moving real slow. It looked like a little black thing that was moving around. When I got closer, I saw that it was a caterpillar covered in ants. They were transporting it somewhere. That killed me! It was powerful. The caterpillar was a million times the size of one of them, but all of them were lugging that badboy down the sidewalk. That inspired me and I started thinking. I saw how small iniquity is, with a little choice here and a little choice there. Next thing you know, it overtakes you. I heard the song 'Slow Fade' by Casting Crowns. I wrote a song from that. That's how it happens - there's a little portal you can go into, so when you're not with God you get the same inspiration. The portal opens up but you might not be able to get out of it. That's how a lot of guys lose their minds. Same thing with actors and people who can play other things. They take it in and can go into that world, even never having been there, and respond and act like that. I don't have to be in the situation. I could hear someone's testimony, think on it long enough, and I'll almost have to convince myself that I'm not in that condition, so I can write from that heart." What about having a life as a regular person? Is it possible for Mali Music to have conversations with people where he's not talking about music? "It's possible," he laughs, "as long as it's about football! It's either got to be really deep, as far as God or something intellectual, or it's got to be about football or music. I hang out with my band members. They are my best friends. But a lot of my friends from school are my football family." In the gig, it's amazing to see the vibe that he creates. It seems that there are plenty of people who have imported the album already and know the words as Mali Music takes time to use his songs to bring some funky grooves and then suddenly he's brought the audience to a place of intimate worship. He seamlessly links from ministry to worship and back again and the crowd are inspired. This is his first time in the UK but you'd never guess from the way he is relating to the crowd. What burdens does he have from God that he wants to communicate and minister to an audience? "I want to communicate to people who feel hopeless. There's nothing like feeling hopeless in a situation. There may be somebody trapped somewhere who has never seen a flashlight. They won't even think to pick it up. They'll just think it's something sitting in the dark with them, when it's actually a tool for their escape. Ignorance is the only thing that brings hopelessness. What I want to do is bring awareness so that people can make decisions in hopeless situations. The Scriptures say, 'My people perish for their lack of knowledge' (Hosea 4:6). It's our job to be light, to be knowledge and to give it."